Before you decide to publish your book by yourself, read the warnings about self-publishing companies. While there are legitimate selfpublishing companies, some are out to make big bucks as vanity publishers while leaving your dreams of being a famous writer in the dust. If you are new to the publishing business, there are a few things you should know right from the start. One of these things is understanding what vanity publishers are. Vanity publishers are companies that will publish your writing, no matter how bad it is. The idea is that some people want to see their name on a book cover, and will do so at any cost. A big warning sign about these companies is that they will tell you how great the book is, even if it is fraught with typos and grammatical errors. This isn't a problem for them, however. They will tell you all those little errors are fixable and they know just the person or company to help you. They will then direct you to an editor who will get your manuscript ready for print, at a hefty fee of course. In most cases, this editing business is really part of the self-publishing house. This is where they get you. Your self-publishing bill just skyrocketed. Instead of the small fee for copies of your book, now you have to fork over several hundred dollars for editing. And, that's not all. Once a vanity publisher has your manuscript, they'll tell you all about marketing your hot book. They'll handle all of the details and tell you where to get marketing packages, or they'll handle these details in-house, for a large fee. Warning signs of fraud in this case include asking for more money after you have paid an initial marketing fee, or guaranteeing your book will appear on recommended book lists in the major newspapers for just a little more money. While you may have your book appear on recommended book lists, they won't be prominent ones. Be careful when signing any contracts with a self publisher. If they ask for publishing rights in perpetuity, run away. One sure way to have your book noticed is to have a prominent book reviewer take a look at your book and make a glowing recommendation. We've all seen these recommendations; they appear on the front cover, inside front cover and the backs of books. How do you get these recommendations when you self-publish? You pay for them! In many instances, the review will be a very general one, especially if your book needs a lot of work. While this may make your book look more legitimate, it won't generate sales if no one has ever heard of the reviewer. When all is said and done, your simple, inexpensive self-publishing idea has morphed into a project costing several thousand dollars. Unfortunately, there is no guarantee that you'll see a return on your investment. There are legitimate self-publishing businesses, and they don't cost a fortune. However, you will need to seek out your own editor and marketing information. Legitimate self-publishing houses will publish your book, but that is about it. The rest is up to you. They may have links to services on their Web site or brochures, but they won't make you visit those businesses in order to get published. For every bad review about a self-publishing company, there are a few that give great reviews of their services. Keeping this in mind, treat each review with a grain of salt. If you see a trend in negative reports about a company, however, odds are something fishy is going on. SFWA/Writer Beware is a long-running site that offers tips, warnings, and loads of resources for writers considering self-publishing. 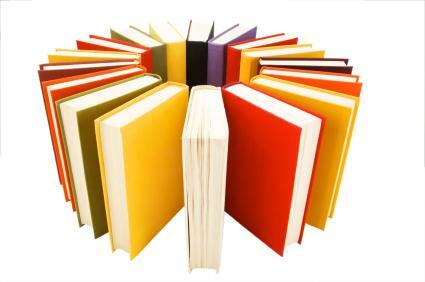 Vanity Publishing vs. Self Publishing explains important methods and terms. Better Business Bureau is a great resource for researching all types of companies, including self-publishing businesses. When all is said and done, you want to make a profit from selling your book. Be sure to read the fine print in all of the transactions you participate in to see what rights (and profits) you may be signing away. Read all you can about self-publishing and heed the warnings about self-publishing companies. If you truly believe in your book, nothing should stand in your way. Even if a traditional publishing house doesn't like your work, you can create a Web site for your book and sell it online. In doing so, you'll also be keeping all of the profits.